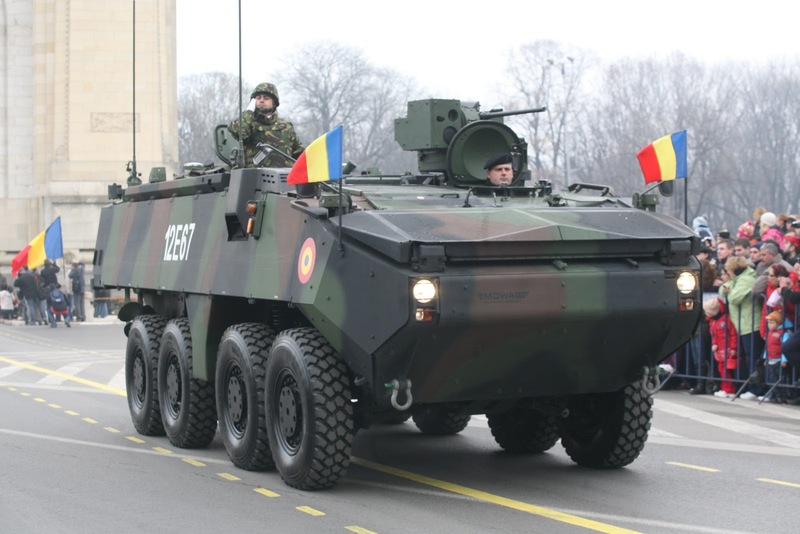 Romania is considered to be the 42nd military power in the world, just after Colombia and Ethiopia, but ranks better than all its neighbors with the exception of Ukraine, according to Newsweek, which uses globalfirepower.com data. Romania has 72,750 military personnel and its military strength relies on 134 military aircraft (out of which 31 attack aircraft and 68 helicopters), 827 combat tanks, 1,456 armored fighting vehicles, 413 units of towed artillery, 188 rocket projectors and 48 naval assets (including 3 frigates and 7 corvettes). But better than its neighbors with the exception of Ukraine? Parts of Europe are a defense mess! My suggestion? Forget trying to build forces that resemble their larger neighbors. Build enabling infrastructure and light infantry that can fight in built up areas. Forget armor and aircraft and focus on anti-tank and anti-air systems. They're different and rebuilding after Communism. If the big countries won't help then they have to build a different type force that can hold on till help arrives (assuming the Russians do decide to invade).